Easy to use, quick free searches of worldwide database, with domain registration possible within minutes. 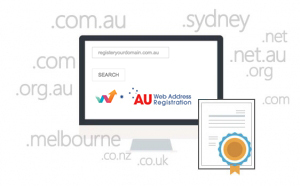 We offer secure online payments, and you are assured of authentically certified domains, bearing worldwide recognition, ICANN Accredited/auDA-accredited Registrar. We offer our clients the benefit of shared hosting on a state-of-the-art, carrier grade national network, housed at strategic locations in Sydney, Melbourne, Brisbane and Perth. Our hosting is VentraIP-based, running on Dell Enterprise Cloud Hardware, with ultra fast Litespeed Web Servers. 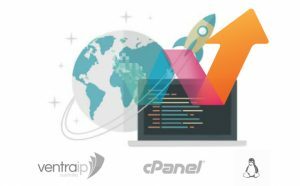 We provide you with Business cPanel web hosting packages with 24/7 personalised Australian support. (That’s right, you get a mobile phone number to call for support. An actual person, not a voice prompt call centre). Deal with the business owner who cares about your issue and values your business. With Webmatic you are a valued client, not just a number. Good design ensures that web content is presented in the best way possible across different devices and user setups. This can often mean a lot more work to get right, but it’s definitely worth it. Webmatic offers you a personalised web design service. As an alternative to this premium service we also provide solutions for DIY template websites (that you can build and maintain yourself). We provide expert knowledge to assist with your existing website. Webmatic has a proven track record of delivering solutions for websites and ecommerce online stores. If your website doesn’t do what it’s supposed to, no amount of content and design will make up for it. That’s where form and function are as one with a custom designed website. Our aim is to assist you to find the solution that fits your needs best. Get in touch with your questions, or fill in our online quote request now. We specialise in WordPress website customisation, configuration and maintenance. We call these ‘care packages’. Bug fixes: we ensure your core software is up to date and this means bug fixes are addressed. – Your site is always upgraded to the latest version of WordPress. Improved performance: your site will always function to its full potential. – And your website will be at its most secure. Your site is in good hands. We are experts so your website is being taken care of. Have you considered refreshing your existing website content? For a fraction of the cost of a new website you can keep your old site but gain the benefits of an exciting content makeover for fresh marketing impact. Request your quote today. 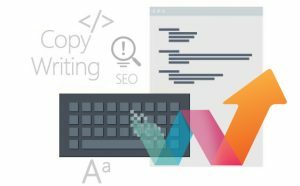 Using the right words for your company’s website. With more than 16 years of successful design projects behind us, we have also created hundreds of logos and brands for many satisfied clients. If you need a new logo, or if yours is looking dated and ‘tired’ we can offer a solution! We are also experienced at producing Brand Style Guides for larger business or companies in stages of dynamic growth. These documents are also known as Corporate Style Guides. These suit large (or fast growing) companies that need a definitive guide to help to define their brand, and control what their branding merchandise etc looks like, no matter who is producing the marketing material, or how they are reproducing it. It is a sure fire way to maintain consistent branding and building a strong brand voice. A Webmatic designer will work with you, one-on-one in a premium client focused service, to bring your logo vision to life, or work with what you already have and perfect it. In business who has not experienced email problems? Whether it’s an email server crashing, running out of space, too much junk or “lost” emails. 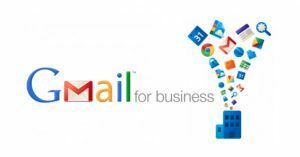 If you have had enough, we advise doing what the corporates often do, which is to run your email via Google Suite. Your email address will stay the same, but for about $5 per month you will have a far more reliable and safe email experience. Webmatic is an accredited Google partner. We use Google’s G Suite for our company, and think you should consider this for your organisation too. Fill out the quick form and our team will be in touch with you with a free quote. Thank you for your enquiry! Would you like to register a new domain, or brand-protect your existing domain? You may do this yourself OR we can do it for you. Add your preferences for domain names below and we will include this cost on our quote. Website Builder which is an affordable DIY option that best suits people wanting to build a website quickly and cheaply. No technical knowledge is required to build your pages. A web hosting service is required. Purchase your Website Builder here. 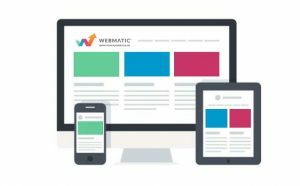 How did you hear about Webmatic?